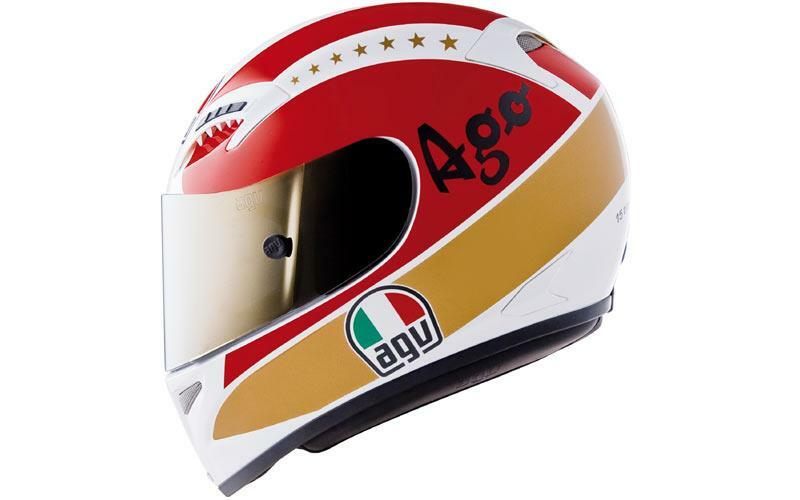 AGV’s legend range, consisting of modern takes on the World famous Barry Sheene and Angel Nieto replicas, has been updated for 2010 with a Giacomo Agostini lid. 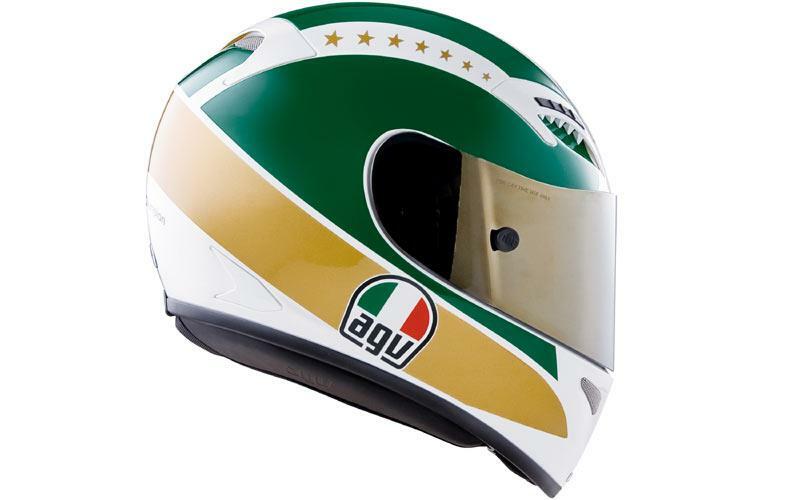 AGV secured the rights to Ago replica helmets from X-Lite a couple of years ago and released a Limited Edition run of hand-painted Ti-Tech’s in the 15-time World Champions colours. 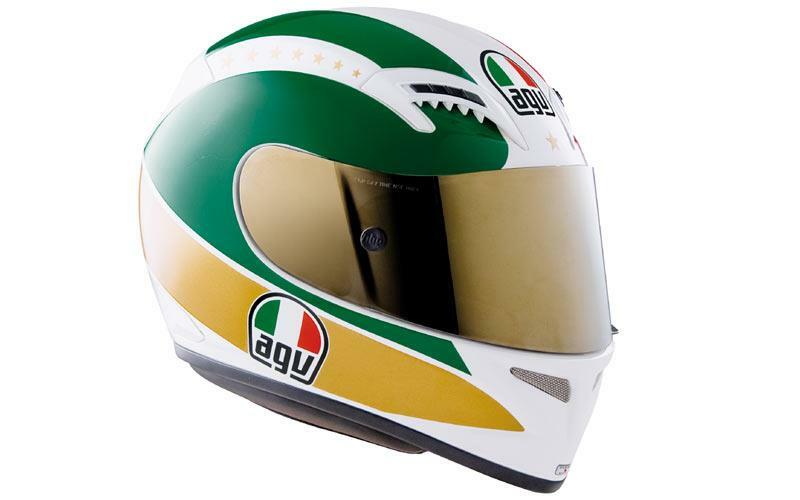 But for 2010 the design shifts to the T-2 helmet, the newest race helmet from AGV that fits in just below the GP Tech in the catalogue. 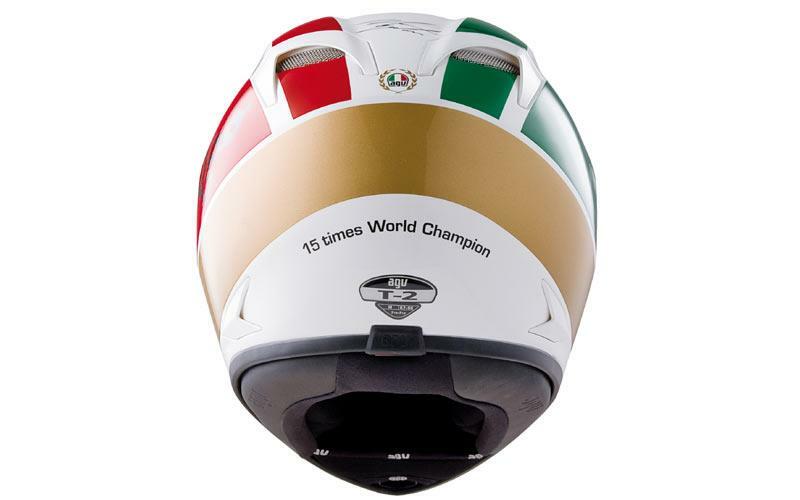 The design is a modern twist on the Italian’s patriotic design, but keeps the red, white, green and gold colourway and 15 gold stars to represent each World title won. The lid is a carbon Kevlar mix shell, has the integrated ventilation system Valentino Rossi helped develop for the GP Tech helmet, a fully removable and washable interior and quick release visor system. It will retail for £349.99.